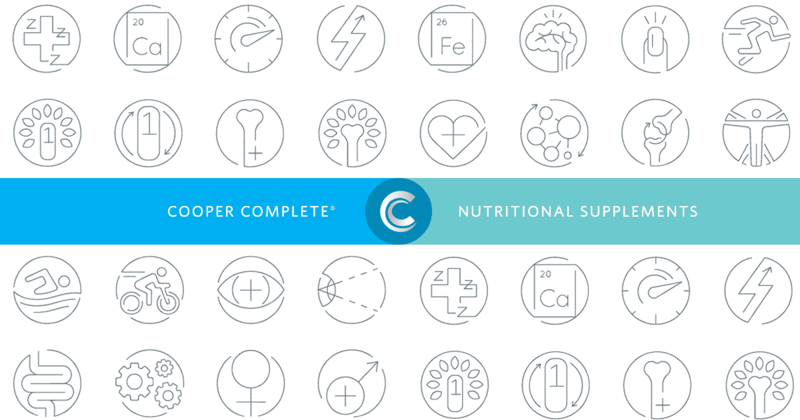 Since 2010, Cooper Complete Dermatologic Health has been helping men and women attain healthier skin, hair and nails. Now, the custom formulation, developed by board-certified dermatologists at Cooper Clinic, has been reformulated to include even more beneficial ingredients. The first difference you’ll notice is on the exterior as Dermatologic Health has switched from capsule form to tablet. “We decided to make the change because we can include more vitamins, minerals and herbs into a tablet than we can a capsule,” says Turner. That’s because the powder isn’t packed into a capsule like it is a tablet. While the form of Dermatologic Health is different, Turner says the serving size is still three tablets a day. Check the ingredient list on Dermatologic Health, and you’ll notice the addition of soluble keratin in the Cynatine HNS® form. “We wanted to make sure to add this ingredient, as it can be very beneficial from a hair standpoint,” says Turner. Soluble keratin has been clinically proven to reduce hair loss by 30 percent over 90 days, increase hair strength by 12 percent over 90 days and improve the shine and brightness of hair. Aside from benefiting your locks, keratin can also support the firmness and elasticity in skin by improving the protein structure and moisture retention. Keratin can also help reduce redness from inflammation and improve the brightness and radiance of skin through its antioxidant properties. Brittle fingernails affect approximately 20 percent of the population. The condition is more common for women than men. Preliminary evidence from a small controlled study suggests biotin may help increase the thickness of brittle nails, reduce their tendency to split and improve their microscopic structure. Biotin can help protect against brittle nails. While the water-soluble vitamin was present in the original Dermatologic Health, Turner says they increased the amount from 3,000 mcg to 6,000 mcg. Studies also link biotin deficiency with hair loss, so adding biotin may help those who suffer with this issue. While keratin and biotin are two key ingredients added to Cooper Complete Dermatologic Health, several vital ingredients remain unchanged. Vitamin A: Vitamin A is an effective anti-aging nutrient. It can help improve your complexion by countering facial oil and acne. If your skin is dry, you may be deficient in Vitamin A.
Horsetail Extract: Horsetail Extract can be effective for hair growth. It can also help with brittle fingernails. Lutein: Lutein promotes long-term skin health by increasing elasticity and lipid content and decreasing lipid oxidation─which can cause skin degradation. Lutein also shields skin from exposure to ultraviolet light and bolsters the skin’s antioxidant defense system. Zeaxanthin: Works with Lutein to protect the skin from harmful UV radiation. When taken in combination with Lutein, Zeaxanthin can help improve skin hydration by 60 percent and skin elasticity by 20 percent. Remember, it’s important to talk with your physician before starting a new supplement regimen. To shop the entire line of Cooper Complete products, visit coopercomplete.com/shop/.